Public Trust Doctrine: Who Owns the Beach? 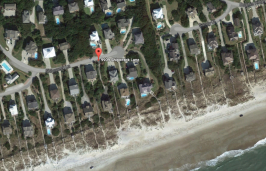 People in North Carolina have always had the right to enjoy the state’s oceanfront beaches, though some of that beach might be owned by private land owners. They are granted that right by the so-called “public trust doctrine,” an ancient legal principle with roots in antiquity. The doctrine has been legally challenged unsuccessfully in North Carolina before. But a case, Nies vs. Emerald Isle, now before the state Supreme Court raises new fears that the public’s right to use our beaches might be restricted. Here, we explore the public trust doctrine and its history in North Carolina. We also take a look at the lawsuit and its possible ramifications. Courts have defined the public beach to extend from the water’s edge to the mean high water mark, a line that fluctuates with tide amplitude and erosion. 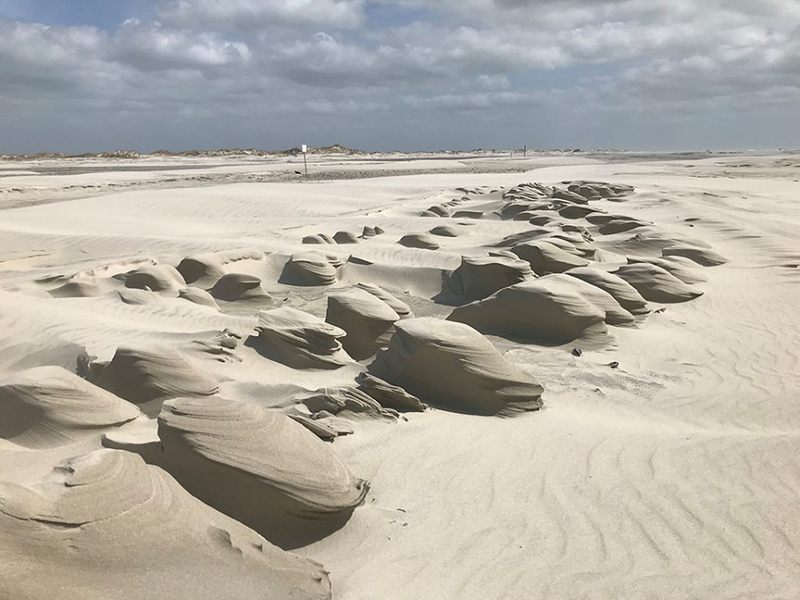 The state does not, however, own the “dry sand beach,” generally defined as the area between the mean high water mark and the base of the first line of sand dunes. How is property defined in areas of public trust? 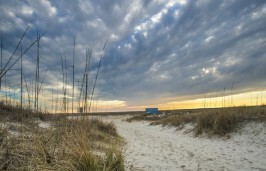 Beachfront property owners typically own the dry sand area of the beach. It is important to note, however, that state courts have consistently held that title to the dry sand areas does not give the property owner an absolute right to privacy or to restrict access to that portion of their property. The dry sand concept of property ownership is ingrained in North Carolina law, as well as the public’s right to access. What about this lawsuit in Emerald Isle? 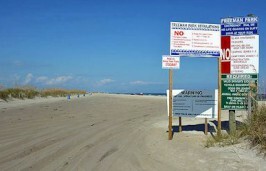 Emerald Isle passed an ordinance in 2010 prohibiting “beach equipment” from being placed within 20 feet of the base of the frontal dune. The purpose was to allow emergency vehicles and other essential services an unimpeded route along the beach. 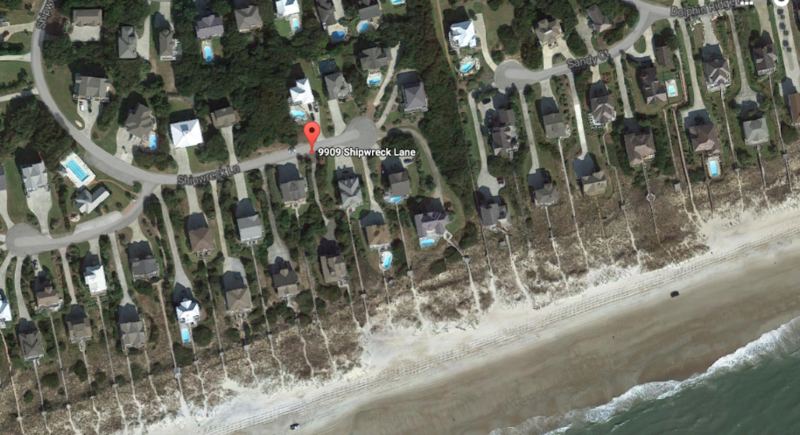 Gregory and Diane Nies, a New Jersey couple who bought their beachfront home at 9909 Shipwreck Lane in 2001, filed suit in Superior Court in 2011 claiming that the ordinance was an illegal taking of their property without just compensation. They are represented free of charge by the Pacific Legal Foundation, a California group that has been a staunch supporter of private property rights. The Nieses appealed to the North Carolina Supreme Court, which earlier this year agreed to a discretionary review of the case. What is a discretionary review? It means that the court uses its own discretion to decide which cases to take. Although there are times the state Supreme Court will take a case because of an appellate court error, typically discretionary review cases are taken to clarify some point of law or a procedural matter. What are the arguments? 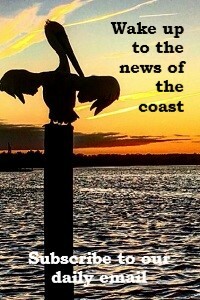 According to David Breemer, council for the Pacific Legal Foundation, Emerald Isle’s actions constitute government overreach. In responding to email questions, he outlined the arguments being presented in court. Breemer also argues that public trust doctrine does not give government unfettered right to the use of the land. “It (the government) can buy land or easements, it can prove a right of way in court based on facts, it can ask for an easement in return for some benefit to the owners, it can seek consent. But it cannot simply say this is public trust land so we have the right to control it and you don’t,” he wrote. Outlining Emerald Isle’s position, Frank Rush, Emerald Isle town manager, points out that the appeals court confirmed years of court rulings. “The Court of Appeals confirmed a longstanding common law right and held that the ‘ocean beaches of North Carolina … are subject to public trust rights,’” he wrote. Rush also notes there are three public trust issues involved — public trust lands, which are the wet sand area of the beach and public trust waters are not being contested. What is at the center of the litigation are public trust use rights. What Are the Implications? It’s important to remember that state courts have consistently held that the dry sand beach in North Carolina is privately owned but there is a compelling public trust need for access to the beach. Although the courts have held that is the case, that has never been written into law. The Supreme Court could affirm the lower court rulings, which would give clarity to the public trust doctrine in North Carolina. The Pacific Legal Foundation could appeal to the U.S. Supreme Court.